EMI became the second major label to provide music to Nokia's unlimited subscription download service called "Comes With Music." Announced last December, Comes With Music would give owners of compatible Nokia handsets access to unlimited music downloads for one year. Due to launch in the second half of 2008, Comes With Music will pay the labels a reported one-time fee of $80 per compatible handset in exchange for a one-year, unlimited music download subscription account. Nokia has not released details as to whether this fee will be rolled into the cost of a device or if it will seek iPhone-like revenue sharing from wireless carriers to pay the bills. Its a great add on to the existing Universal catalog but i m not sure how the additional costs are going to be apportioned, i dont reckon Nokia will absorb the whole cost as $80 is a lot of cost to absorb even for Nokia. 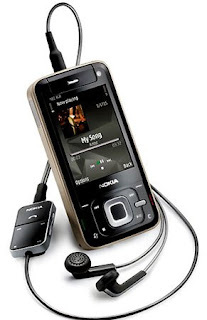 Music is definitely a great add-on for Nokia's devices but will users pay for the additional price is still questionable. Lets not forget there are other alternatives to get cheaper or sometime free music downloaded or sideloaded to your phones. For the short term, its going to be challenging to get users to pay more for the price of the device. There isnt a proven business model for device manufacturer to give away free music at this point of time though they are hoping to work with Operators or perhaps advertising maybe a solution. But Nokia isn't the only major gadget player eyeing device-based music subscription models. Apple is reportedly in talks with the labels for subscription plans of its own. Apple is offering only $20 per device, based on the statistic that the typical iPod owner only buys an average of 20 tracks from the store. Isnt it great to be consumers!! With all the competition out there, things can only get better for us, better services and much improved mobile devices. I m looking forward to this service "Comes With Music".Nokia will not give any place to other brands for competition.